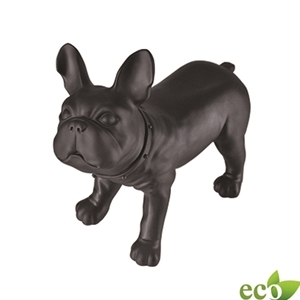 Give your display a fun new look with the eco-friendly bulldog form. Use as an accent piece to tell a story or showcase a favorite product. Features a flat top surface for displaying small products, swivel head, accent collar and is made of PVC plastic. • 15" x 7-1/2" x 13-1/2"